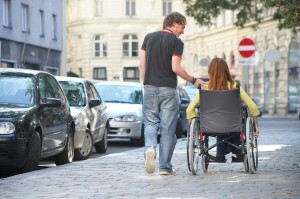 One of the primary goals of our clients is to achieve independence after an injury. In order to accomplish this goal, community re-integration is often a crucial step. The JR Rehab philosophy of community-based rehabilitation allows our staff to assist the injured client by familiarizing them with local resources and helping to facilitate safe navigation throughout their community.